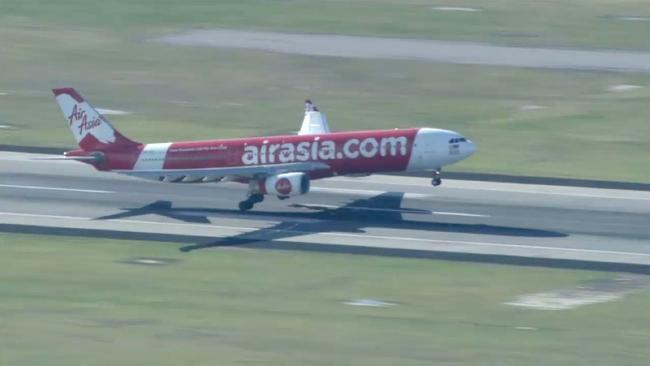 An Air Asia flight en route to Kuala Lumpur was forced to return to Perth over a technical issue with the aircraft, believed to be a single engine failure. A spokesman for Perth Airport said the Air Asia flight left Perth just before 7am yesteday. The pilot identified a technical issue with the A300 airbus on flight D7237 more than an hour into the journey and turned back to Perth. It landed safely at 10am. PerthNow understands there was a single engine failure. The spokesman said that Fire and Emergency Services had been called to meet the plane, as a precautionary measure, but there was no indication anyone had been hurt. A spokeswoman for Air Asia could not comment on claims more than 350 people were on board. Passengers said they heard a bang about 8.30am and then the plane started shuddering. Sophie Nicolas said she heard a small explosion from the left wing. "You could tell by the cabin crew's reaction that it was really bad," she said. She said the Captain then announced the plane would be returning to Perth. "He said 'I hope you all say a prayer, I'll be saying a prayer too and let's hope we all get back home safely," she said. "It was terrifying." Father of three Dave Parry said after the bang, a smell similar to an engine seizing wafted through the cabin for a minute or two. "I had a sense the plane was turning and then the Captain announced that it appeared the left engine had seized," he recounted. "He said 'we don't know the details of why, we will get back to you'." Passengers near the left engine were asked to tell cabin crew if they saw what happened or any problems with the left engine. Passengers were asked to stay calm and reminded of safety procedures. They practised the brace position for landing during the seemingly interminable journey back to Perth. Another passenger said the pilot warned them the return journey would be slower because they had the power of only one engine and to try to limit the shuddering. Mr Parry said the most frightening time was the minutes they waited in the brace position as the plane came in to land as they could not see what was happening. After the plane landed safely, everyone on board applauded the pilots. "The Captain did a very good job, he was reassuring and then we landed safely," one man said. Once they landed they were told a blade had sheared off the left engine. They are now queuing to try to re-book flights. Some passengers are unsure if they want to fly again today.